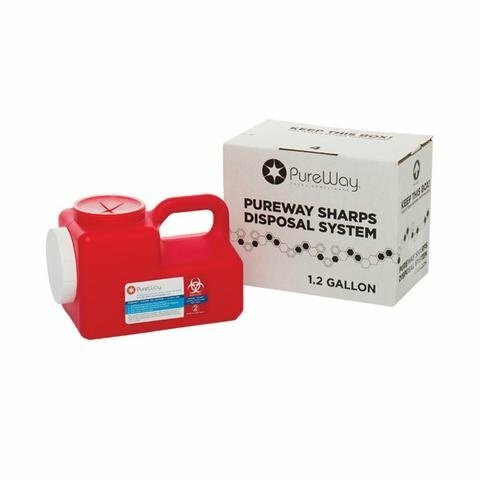 At PureWay, medical waste disposal is our main focus. From large hospitals to small clinic facilities, we have a solution for you. Medical waste disposal is a highly regulated industry, and for good reason: Managing medical waste is a public health issue that affects certain healthcare facilities every day. Compliance for proper disposal of this waste requires healthcare facilities to adhere to strict regulations when it comes to containing, packaging and disposing of medical waste. Between the cost factors and the complexity, it’s a challenge. • Hospitals: Hospital biohazard waste disposal is a large part of what medical waste disposal companies manage. • Emergency care clinics: Walk-in urgent care centers generate medical waste often contaminated with bodily fluids and blood, this waste goes into a standard sealable biohazard container. Another form of waste the walk-in clinics can generate is sharps waste. This waste is generated from injections and other procedures involving sharp objects. 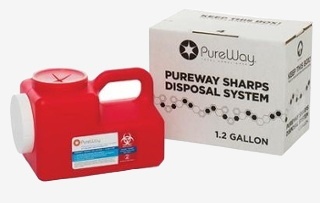 Sharps waste must be placed into a marked, spill and puncture proof, sealable container for proper waste disposal. • Dental Practices: these facilities generate small amounts of sharps and biohazardous waste. Our ship back systems are ideal for dental facilities and can save up to 50% of comparable services. • Long-term care facilities: The daily care of the sick or elderly staying at a long term care facility generates medical waste as the staff treats their patients. With illnesses such as decubitus ulcers or the complications of diabetes. It is common to see dressings, gloves, cannulas and injection needles along with other standard forms of medical waste. These facilities use biohazard bags and sharps containers to manage the waste safely. And many many more. If you or your facility have a needle or other waste you want to properly dispose of, call our team to better understand your options (877)765.3030.